Same Product, New Look. Huh? 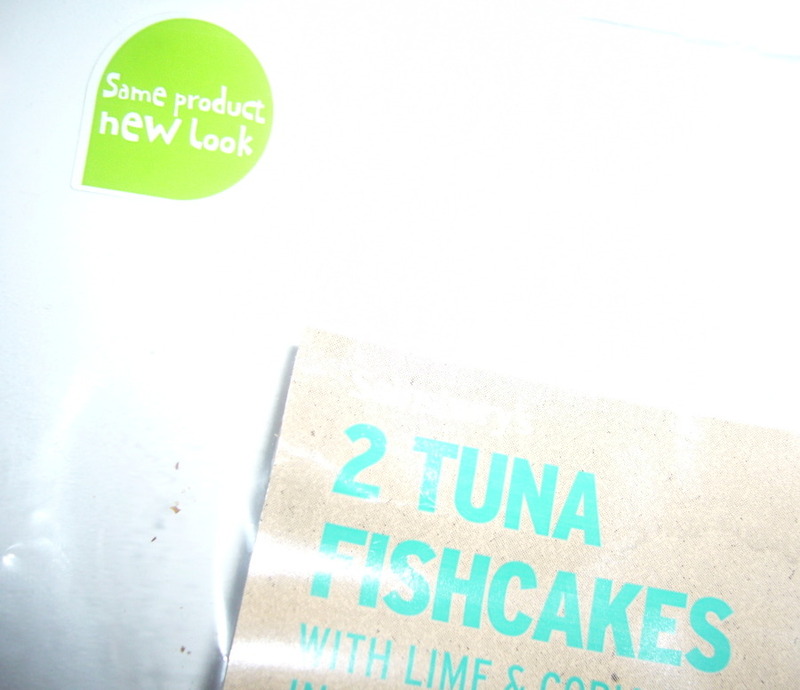 There was a little green label on a pack of tuna fishcakes I bought from Sainsbury's the other day. I only noticed it when I'd got home, and bothered to read what the label said. Now, usually a green label implies some sort of healthy attribute of the product, such as 'low in salt' or 'less fat'. This one read, and I kid you not, "Same Product, New Look". Now, I'm not a marketing guru, but isn't this stretching the promotional labelling thing a bit far? What does 'new look' mean anyway, when we're referring to fish cakes? And they've stated that it's the same product; nothing to shout about, in my book. What will they think of next? 'Contains ingredients' or 'Low in dynamite'? They only put this green label on because they needed to put a green label on, since this has become subliminal advertising on the supermarket shelves.